I’ve never grown out of the “I made something for you” phase of childhood – it’s still my favorite way to give gifts. Whether it’s layered soap bars or layered dessert bars, I derive so much pleasure from putting effort & love into handmade presents. This Christmas, I spent a lot of time making treats to give to neighbors, church friends & family. The biggest hit was probably the salted caramels. They are super easy to make – it’s like culinary alchemy – and they store well in the fridge. They can be used in other recipes, melted into coffee or just devoured on their own. I do recommend measuring your ingredients before you begin – the process relies on quickness. 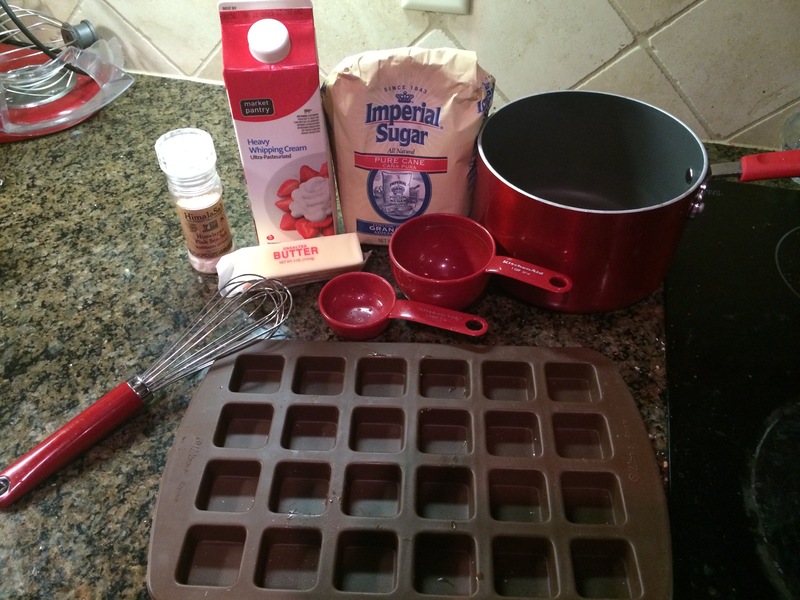 You won’t need a candy thermometer, but a candy mold makes it easy to portion them out. Measure your ingredients & keep close by. I also recommend greasing your molds now by spraying lightly with cooking spray or brushing with oil (I use coconut oil & a pastry brush). 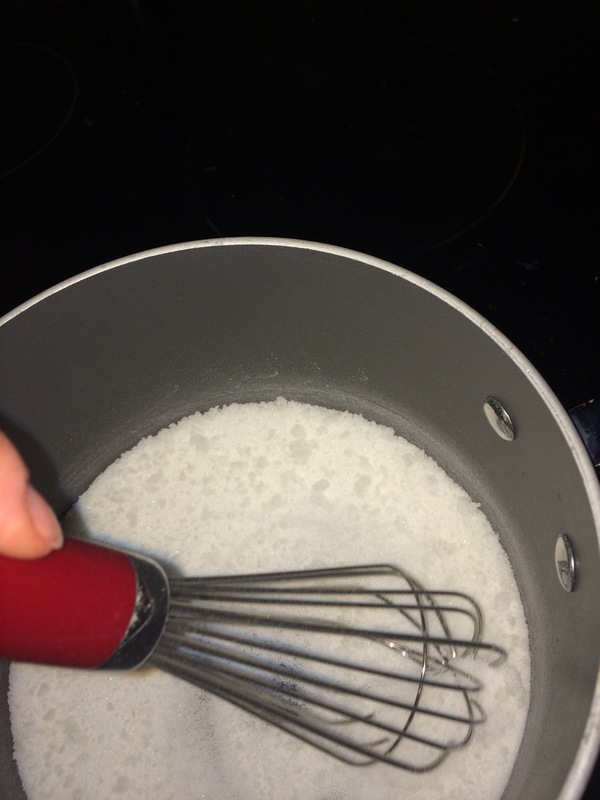 Place sugar in a dry saucepan over medium-high heat and continuously whisk or stir with a spatula as it melts (this helps prevent burning). As soon as your sugar is liquid, light brown & just about to bubble, stop stirring. 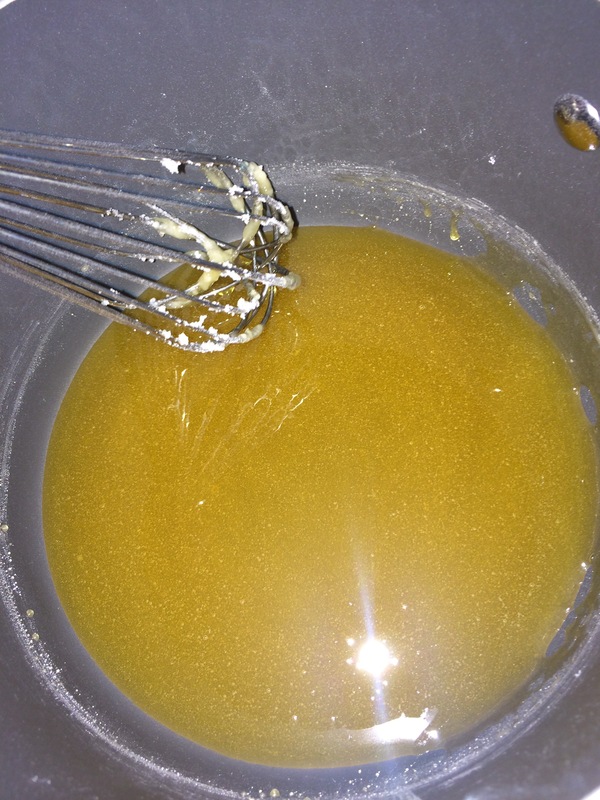 Add the butter & whisk until melted. It’ll foam up a bit, so watch your fingers! 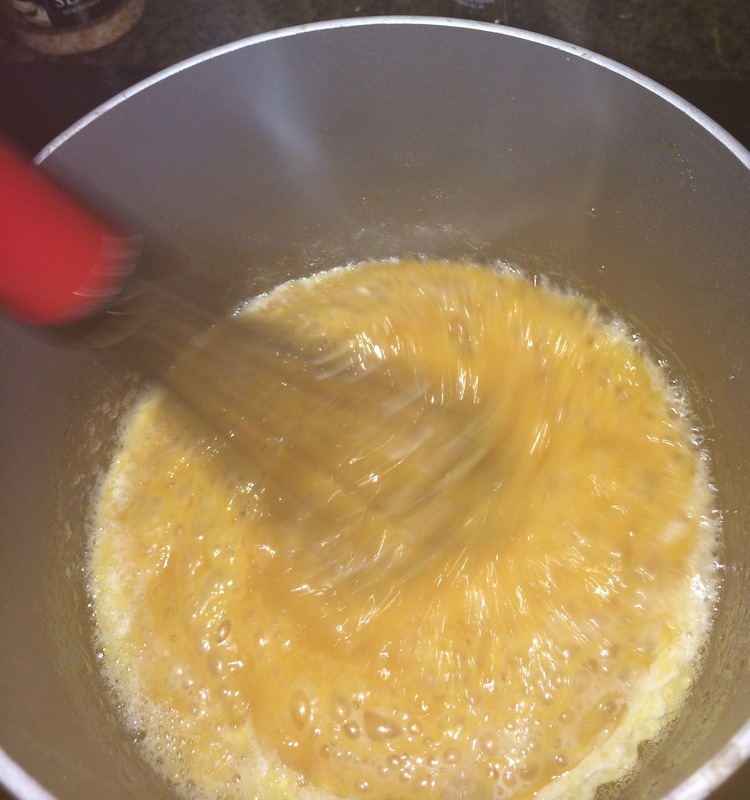 Remove saucepan from heat and whisk in the cream ’til smooth. 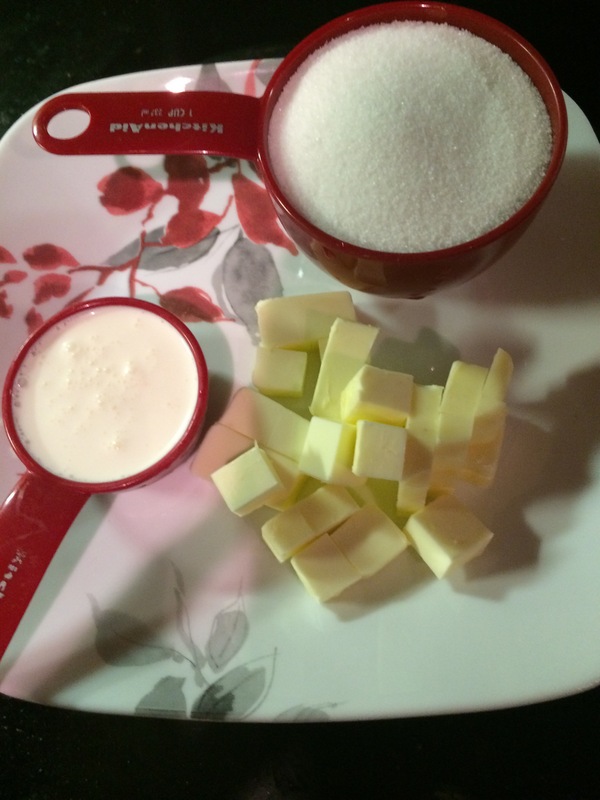 Now it’s time to pour the liquid into molds – I transfer my liquid into a measuring cup first for easier pouring. Lightly dust the top of each caramel with sea salt. 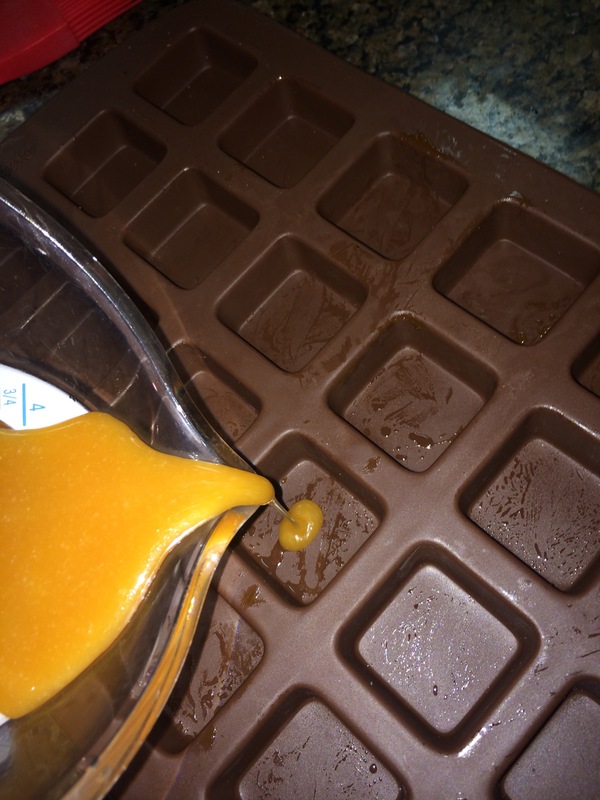 Place mold in fridge or freezer until caramels are firm enough to unmold. After unmolding, they can be individually wrapped in wax paper squares or pieces of Saran Wrap Press’n’Seal. That’s it! 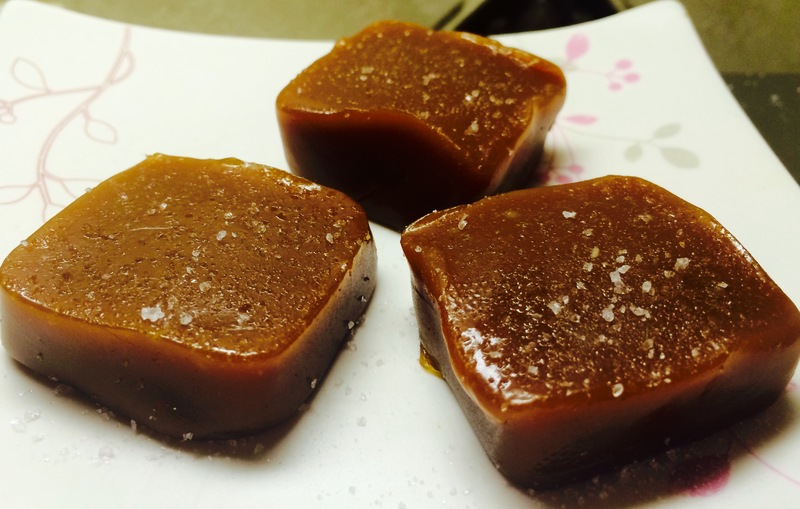 Minimal effort for rich, soft, buttery caramels that kick the pants off of those pale processed Kraft cubes. 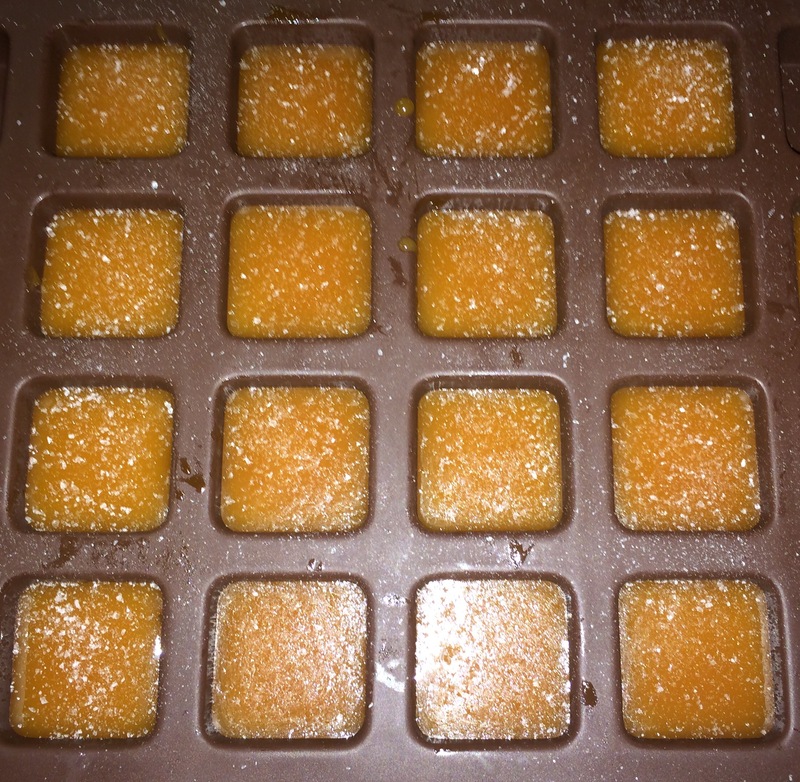 This entry was posted in Sweets and Treats and tagged easy caramel, handmade gifts, Hex Chromosome, homemade presents, pynk, pyro maim ya, salted caramel, sea salt caramel on January 5, 2015 by Dara O'Bannon.